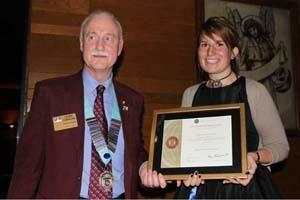 The Thames Valley District (1090) has the most Rotaract clubs of any District in the UK. .....be part of a fun, dynamic and unique International organisation for people aged 18-30, offering a wide range of activities that will enable you to try something new, whilst having a great time and meeting others. Rotaract offers a wide choice of social activities, actively supports your local community, raises money for charity and gives you the opportunity to develop your personal skills and gain new life experiences in the UK and abroad. The Rotaract Club of Banbury, sponsored by Banbury Cherwell received its charter on Friday 25 January 2013 at the Mercure Whately Hall Hotel, Banbury and became the newest club in the District.